Preheat 220°C (425°F). Place the chicken in a deep-sided roasting tray. Add the oyster sauce, soy, water, ginger, garlic and chilli, and toss to combine. Turn the chicken skin-side down and cook for 15 minutes. 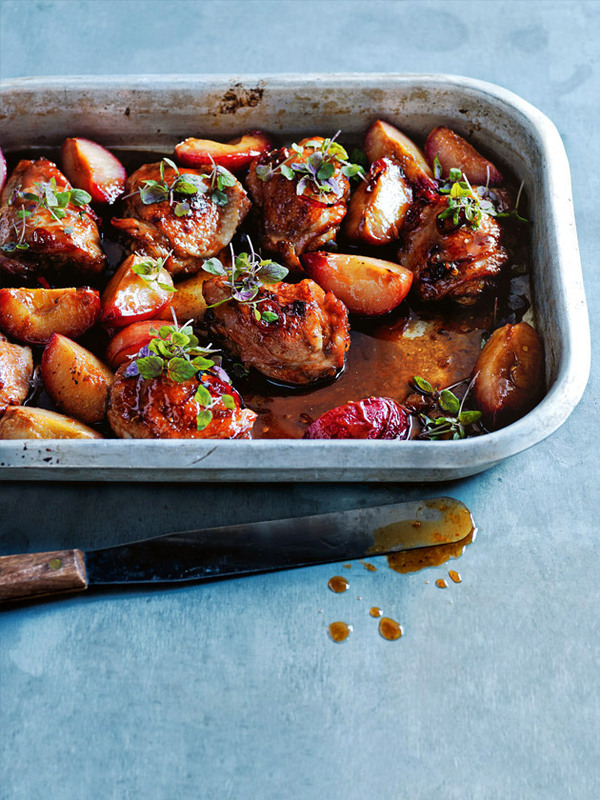 Turn the chicken over, add the plum and cook for a further 15 minutes or until the chicken is sticky, golden and the plum has caramelised slightly. Serve with shiso leaves. Serves 4.